This eclipse is the first of five this year! The next Solar Eclipse is September 1, 2016, and we have lunar eclipses March 23, 2016, August 18, 2016, and September 16, 2016. 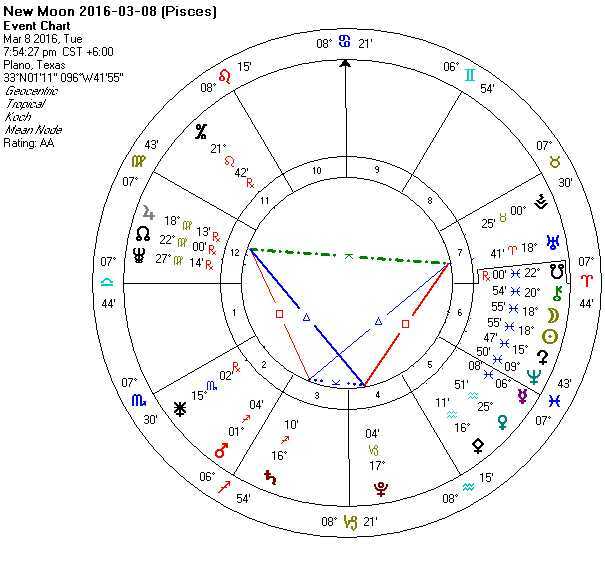 What we will note is that, is that a Square Key pattern is present that ties together Uranus, Pluto, Saturn, and the North Node. Square keys are really interlaced Huber “Learning Triangles,” and this means we are facing important lessons regarding North Node (“Karma,” and in this case dealing with finances or health or both; this is “reaping what you have sown” in these areas.) How is your health? Are you doing what it takes to maintain or improve it? If so, great! If not, the time is at hand for a change. Exactly the same is true regarding finances. Adding Saturn into the mix means that you need to change “or else.” The “or else” is strong here. Also in the mix is Pluto in Capricorn (birth, death, rebirth, police, intelligence agencies and taxes all applied primarily to financial areas (or maybe your knees! Or skeletal system). And Uranus (surprises; unforeseen circumstances along with insights, sometimes genius level insights, and electronics and electricity) is in the mix, too. Saturn is even worse off. 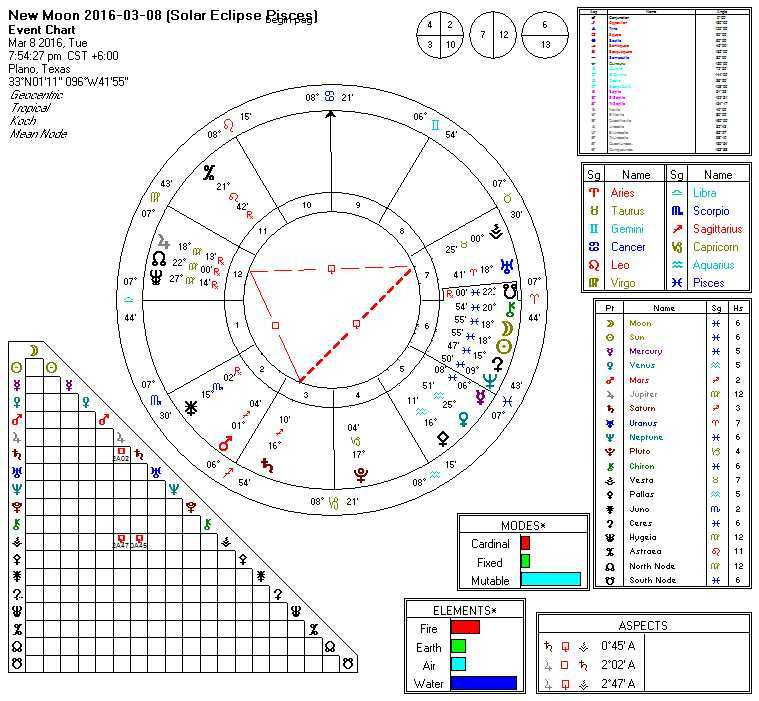 Saturn (tests, trials, tribulations, sticking to the “basics,” and sometimes the Bear Market side of financial markets but also financial markets in general) is in Sagittarius (all the same issues as Jupiter). In fact, Jupiter RULES Sagittarius which makes life very bad for Saturn, indeed, at this time. Sesquiquadrate to BOTH Jupiter and Saturn is Vesta, an asteroid that is all about “doing things the way we have always done them.” While traditions often serve us, Vesta will continue them far past the point of benefit. It is in conflict with BOTH Jupiter and Saturn. Do not be surprised if we have some kind of mass casualty incident at a place that involves some kind of bureaucracy. (Post workers? School shootings? What is next?) Some VERY important lawsuits may be filed today. Again, only you can interpret how this applies to your situation. Jupiter (we have discussed this earlier) is at the apex of the Yod. The debilitated Jupiter that must deal with healthcare and minute details instead of large policy issues looks to a decision. On one hand is Pallas, a source of very bright ideas that have a bit of a warrior quality to them. On the other hand is Uranus, the source of the Olympic Torch and bringer of light to all. Uranus is the true innovator, more so than Pallas who is very good. But Uranian ideas seem very strange to those who cannot yet quite see the future, and supporters of Vesta (“doing things the waywe have always done them”) will likely go beserk today with a Uranian path. You will have to decide. Are you willing to battle the traditionalists who will offer a “good” (but “lesser”) idea, or are you willing to take a risk on an unconventional “best” idea? Please note that these are “reblogs” that we have done and contain a sample of the forecasts by each of the astrologers. If you want to read more about a particular post, then you will have to “click through” to the original post. If you are interested in comparing the Solar Eclipse last fall (2016-09-13), click here. And, if you are interested in reading about the Solar Eclipse of Spring 2016, click here. And you may be interested in the Moon/Juno quadrinoviles on the same day as the “Blood Moon” eclipse last fall. If so, click here. Tweeted this important information. Thanks for posting! Thank you for the tweet! Much appreciated! Who is Hygeia? (27 deg Virgo)…natal 27 degrees with 3 planets Sun Can(7th) Moon Lib (9th), NN Leo (8th). and Saturn 26 Cap (1st). I also have a 2 year long legal battle from a work injury that has increasingly been unjust and I am up against a wall. Mar 15 is the faceoff. How can I win if the laws they are using are not just and obviously one-sided? I can’t sue the court system, can I? You should note that Jupiter (R) trine Pluto perfects March 16th. You have a chance of winning, but make certain you have done all you can to prepare your case. This eclipse marks a good time to uncover any hidden issues that could be involved in the case. That said, did you ask “Who is Hygeia?” Try this and this. I have a chance of winning? I don’t know how to do this tho. The law in that state is obviously for the corps. It is designed to wear you down until you give up. I am at that point and want to walk away but I am growing up I guess and want to complete things like paying back the people who are trying to help me. I honestly don’t know what to “win”. Since I do not, and cannot, know the specifics of your situation, I cannot offer additional direction. But, your situation does sound challenging. Obviously, important decisions are facing you. Certainly! On your sun? Maybe a career in healthcare for you? Given that you hate blood, is there a different way that this might apply in your life? I believe you are referring to this entry. Is that the one?